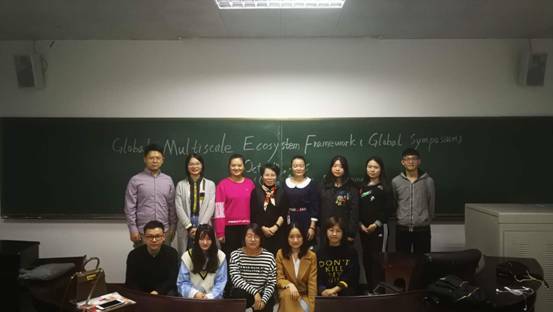 On Oct. 10 evening , The carbon accounting team of the University, led by Prof Zhang Caiping were invited to the international video conference with the theme as “Common without Borders: Global Multiscale Ecosystem Frameworks”. The meeting was organized by University of Massachusetts Amherst of US and USC was the first to address the audience at the Conference. Joining the Conference were the Experts scholars from seven countries including China, US, India, Turkey, Peru, Uganda and Mexico. The USC team, the only representatives from China, shared their views with the attendees on the topic of“China Carbon Trading Market Development Status and Prospects”. 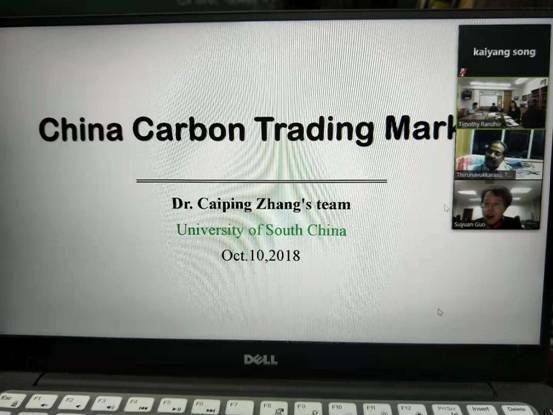 Beginning with the current situation of carbon trading market in China, the team elaborated the development characteristics, achievements, shortcomings, and then forecasted its future development trend. The exchange and communication of ideas and views continued until 4:00 am Thursday Beijing time.